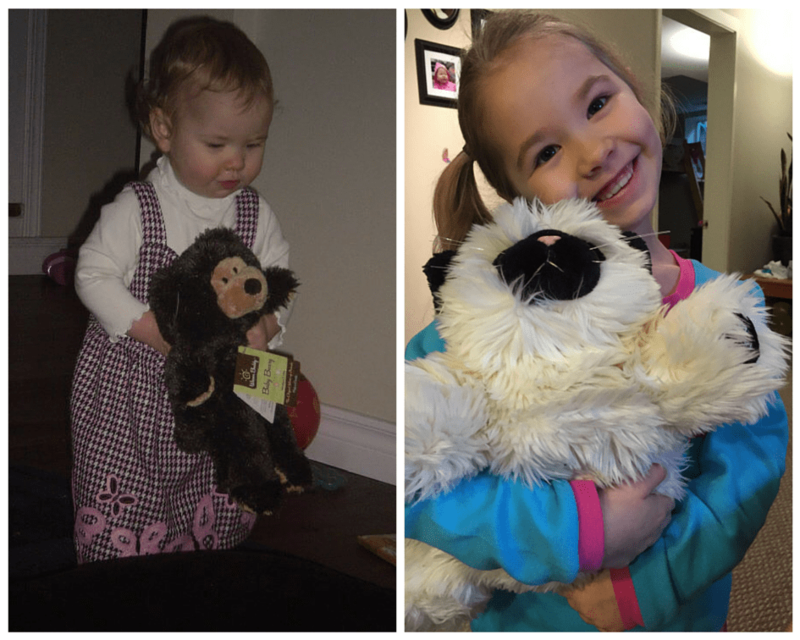 My love for Warm Buddy started 5 years ago when my now 6-year-old received a Baby Beary for Christmas from her Aunt in Ontario. Up until that point, my daughter had enjoyed stuffed animals, but never had designated any one as her special lovey until this unique bear arrived in the mail. I was intrigued by the small warming pouch that could be removed from bear and heated to sooth upset stomachs, bumps and bruises and provide general all around comfort – an important feature for my little Heart Warrior! It wasn’t until a few years later that I realized this bear that had travelled all the way from Ontario, had actually originated a few kilometres from our house, right here in North Vancouver! I couldn’t believe that this amazing little guy had traveled such a circuitous route to find us. Since then, Warm Buddy Products have become staples in our house. 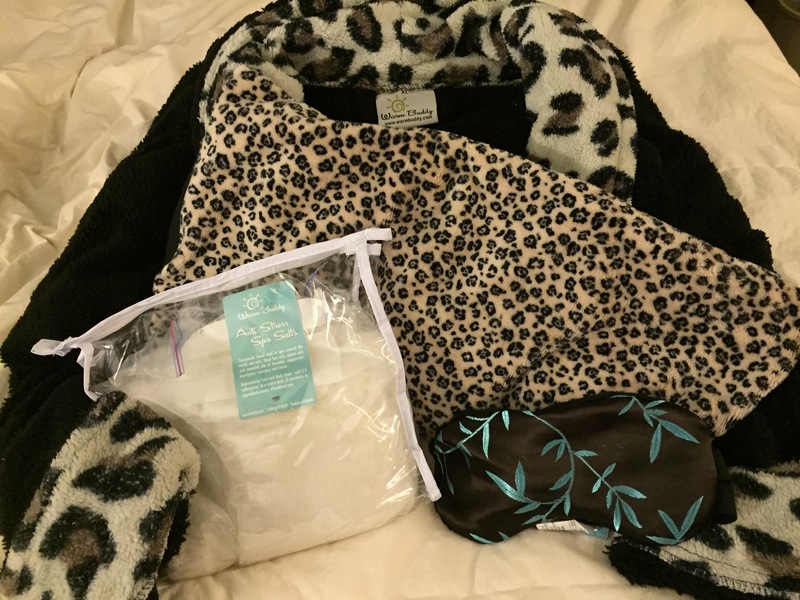 My girls have added to their collection with beautiful Warm Buddy cats they received this Christmas, and I have my own stash that are life savers with my many aches and pains, including the Warming Eye Pillow, Large Pillow and Body Wrap. What really gets me through a hard day is knowing that at the end of it I’ll be able to relax in a hot bath with Warm Buddy Anti-Stress Bath Salts, wrap up in their über luxurious spa robe, and drift off to sleep with my Aromatherapy Sleep Mask. Seriously it is the best way to end the day! The most amazing way to end the day! Warm Buddy is excited to celebrate the Year of the Sheep, as sheep are one of the signature animals featured in their line up of products. 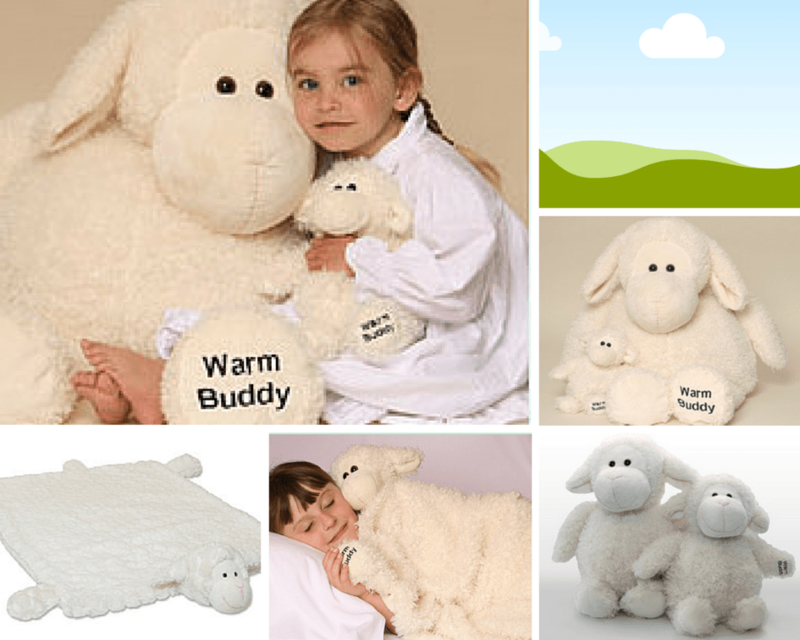 People have been using sheep to keep warm since ancient times (with their wool), and Warm Buddy carries on that tradition with their collection of Baby, Small and Large Wooly Sheep that all contain the removable heat pack. Sheep (and the people born in the year of) are said to be tender, kind-hearted and calm, with a special fondness for quiet living. It makes sense that this serene animal is the most popular representative of sleep. 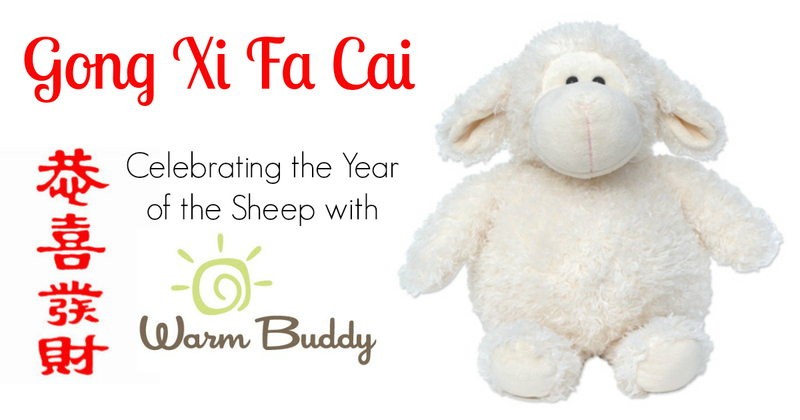 According to the Chinese Zodiac, if you are born in the year of the sheep, you (and all children) thrive with a consistent sleep schedule, and Warm Buddy Wooly Throw and Sleep Sheep are perfect tools to help children settle at bedtime and establish a regular sleep routine. Whether you’re looking for a sheep to ring in the Chinese New Year, or simply searching for high quality, natural products to promote relaxation and provide head to toe relief from aches, pains and stress, Warm Buddy has something that can help each member of the family. After all, everybody needs a Warm Buddy!